Back in March I posted the Branford Marsalis solo on “When Will the Blues Leave” from Kenny Kirkland’s eponymous album. I also transcribed Charnett Moffett’s bass accompaniment, but never got around to putting it up on the blog. Kenny leaves a lot of space in his comping for sax and bass to take the song to harmonically new places, and Branford takes advantage by spending a good amount of time in ambiguous diminished territory, but Charnett plays a pretty straight blues in F, offering occasional chromatic digressions to heighten tension. 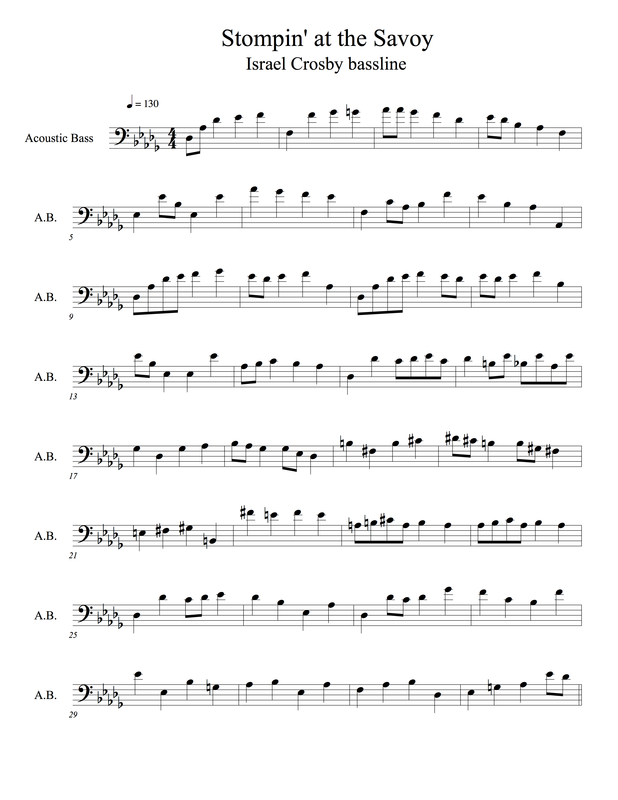 This entry was posted in Uncategorized and tagged bass, Charnett Moffett, jazz, music, Noteheads, transcription, When Will the Blues Leave on September 5, 2018 by noteheads. 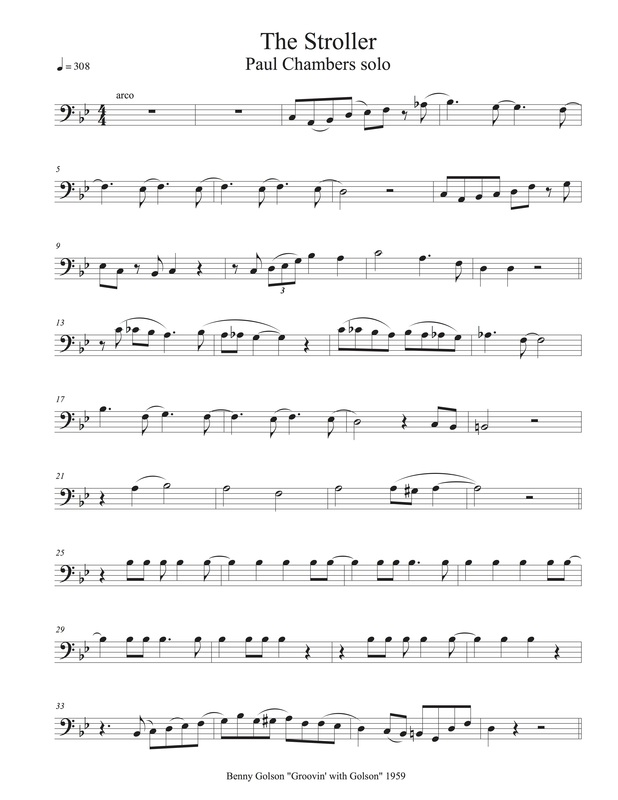 I transcribed this from an old Coleman Hawkins record featuring Oscar Pettiford on bass. I sometimes show it to students of mine because it’s a nice example of how to compose an effective walking bassline. Oscar uses a few simple ideas to give motion and color to the harmony, and his timing is impeccable. The bass solo shows off Oscar’s dexterity and motivic development, as well as presaging the solo style of the next generation of greats like Paul Chambers. 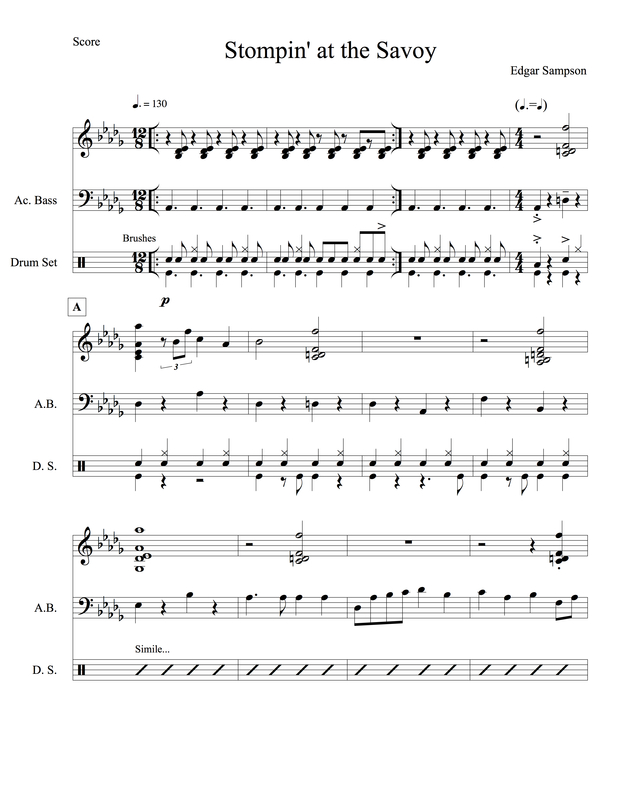 This entry was posted in Uncategorized and tagged bass, Crazy Rhythm, jazz, music, Noteheads, Oscar Pettiford, solo, transcription on November 6, 2017 by noteheads.